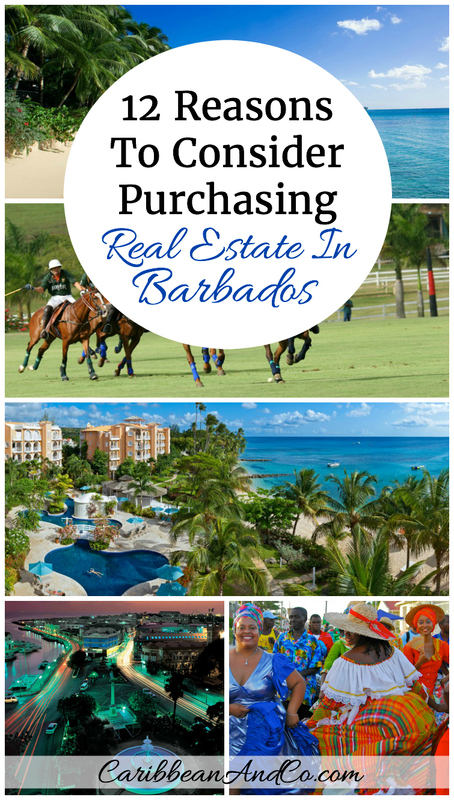 12 Reasons To Consider Purchasing Real Estate In Barbados - Caribbean & Co. Settled in 1627 by the British, Barbados is approximately 166 square miles (413km) and has a population of approximately 284,644 people. Barbados obtained independence on November 30, 1966, but still has a British style of parliamentary democracy. The island’s economy is still bouncing back from the global financial crisis of 2008, but for those interested in purchasing real estate, there is a range of properties for purchase including historic plantation homes to newly built luxury apartments and villas. Also, real estate prices in Barbados is less than in other Caribbean destinations (St Tropez, St Barts, etc.) that attract those looking to purchase an investment, retirement or vacation home. 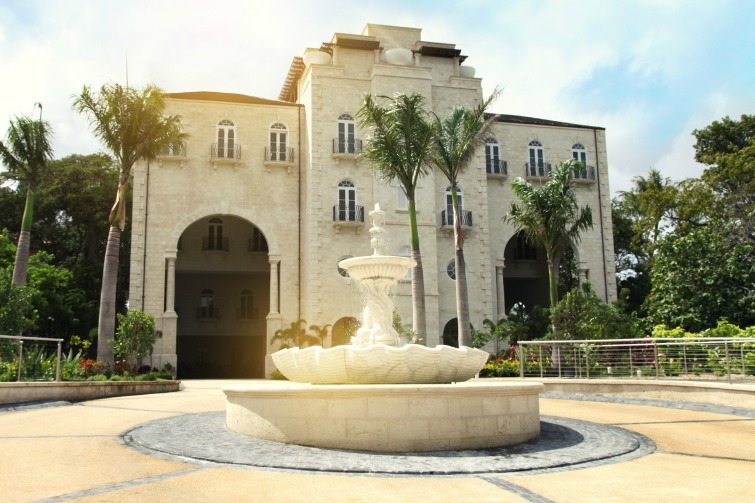 Beyond competitive pricing, below are the top 12 reasons why Barbados should be on the short list for purchasing real estate more specifically a luxury home in the Caribbean. Barbados is relatively flat and composed mostly of coral. The highest point is Mount Hillaby, at 1,104 ft (336km) above sea level. Also, Barbados has lots of picturesque white sandy beaches and like much of the Caribbean, Barbados has year-round sun making it the perfect climate for an active lifestyle. Daytime temperatures in Barbados range between 80 to 85 degrees Fahrenheit (27 – 29 Celsius). Barbados: Coconut tree lined beach. Photo: © Barbados Tourism Marketing. For those interested in aviation history, the Grantley Adams International Airport is also home to the Barbados Concorde Experience, an interactive exhibit containing British Airway’s Concorde G-BOAE. 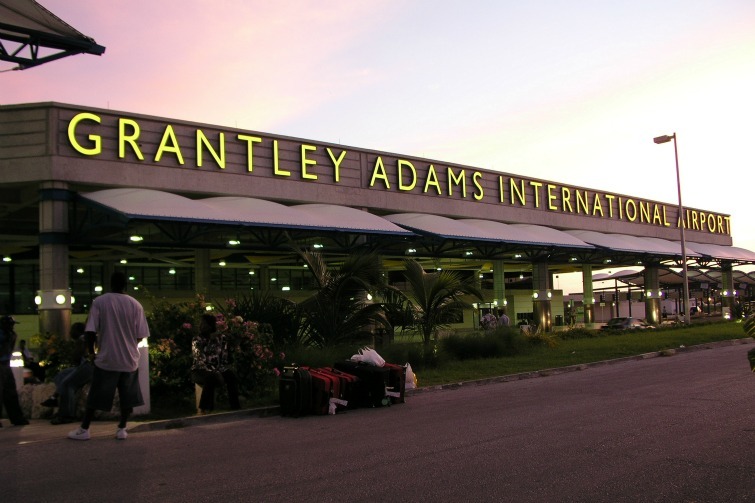 Barbados: Grantley Adams International Airport. Photo: © Barbados Tourism Marketing. Barbados has about 916 miles (1,475km) of paved roads, many of which have undergone improvements in recent years. Also, there is a highway that links the Northern and Southern parts of the island. Beyond the roads, Barbados has reliable utilities and electricity rates are among the lowest in the Caribbean. Water is provided solely by the Barbados Water Authority, and the tap water is safe to drink. With regards to telecommunications, Barbados has modern telecommunications infrastructure with the latest in digital technology and fiber optics systems. Phone and Internet services are provided by divisions of international telecommunications companies like Digicel and Flow owned by Cable & Wireless Communications. 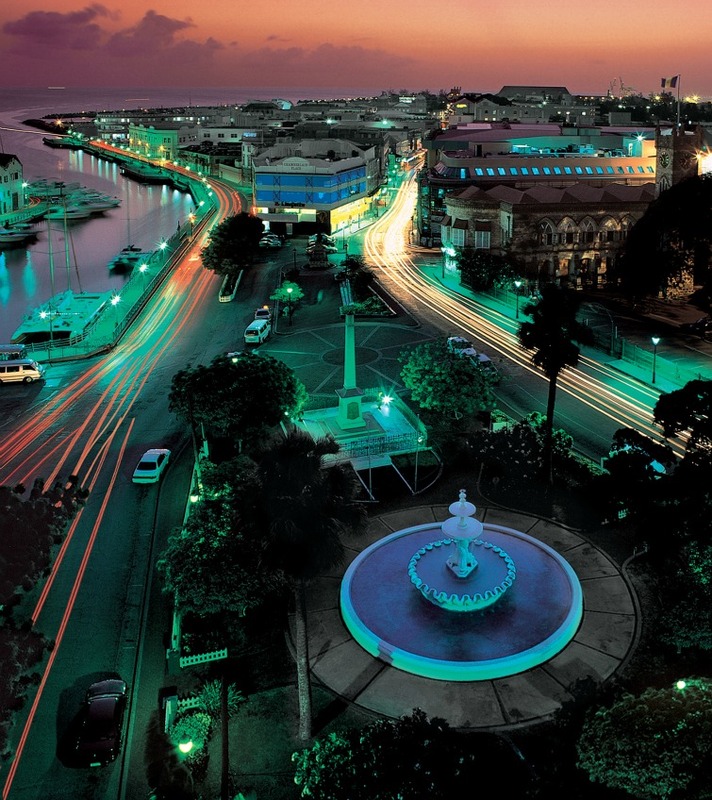 Barbados: Bridgetown Night. Photo: © Barbados Tourism Marketing. Barbados is considered by many to have the most modern medical facilities in the Eastern Caribbean as in addition to numerous well-equipped clinics, health centers, and nursing homes, there are two major hospitals. The Queen Elizabeth Hospital with 600 beds is run by the government and provides specialist services along with 24-hour casualty service. The second major hospital is Bayview Hospital, which is privately owned and provides medical care in a wide variety of specialties. Private health insurance for new residents is highly recommended. 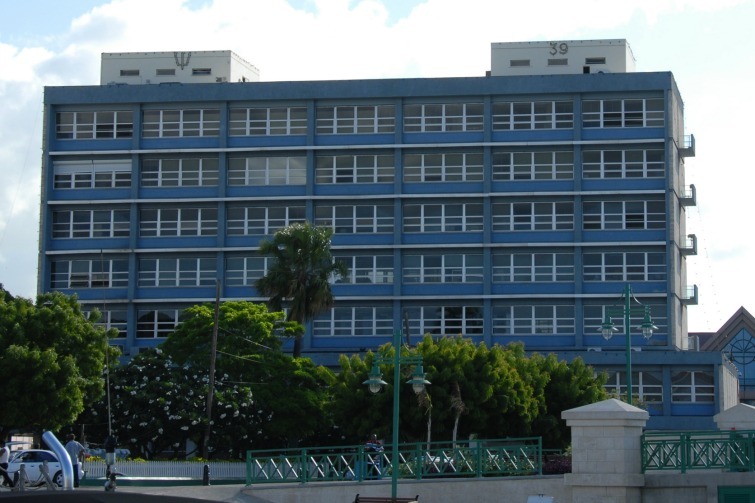 Barbados: Queen Elizabeth Hospital. Photo: © Queen Elizabeth Hospital. The Barbados educational system is world-class with the literacy rate estimated at 98% – one of the highest in the world. Modeled after the British educational system, children are required to attend school in Barbados until they are 16 years old, and government schools are free at the primary and secondary levels. There are excellent private schools such as St Gabriels, St Winifred’s and St Alexander – popular with both expats and local residents. 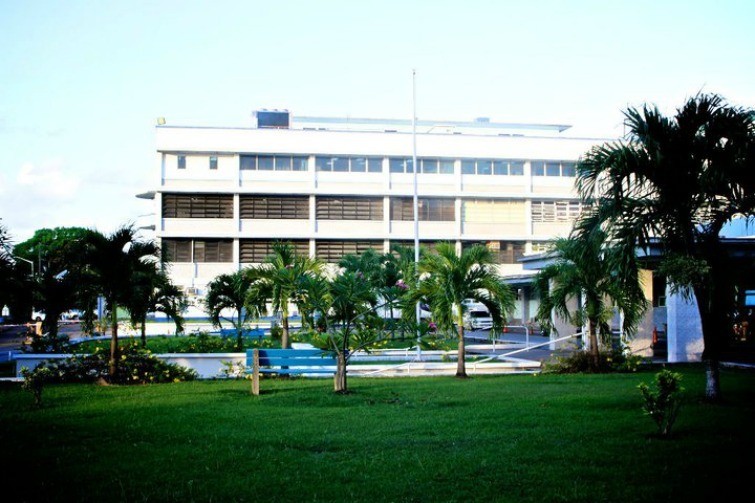 At the University level, there is the University of the West Indies – Cave Hill, which attracts students and faculty from across the globe. 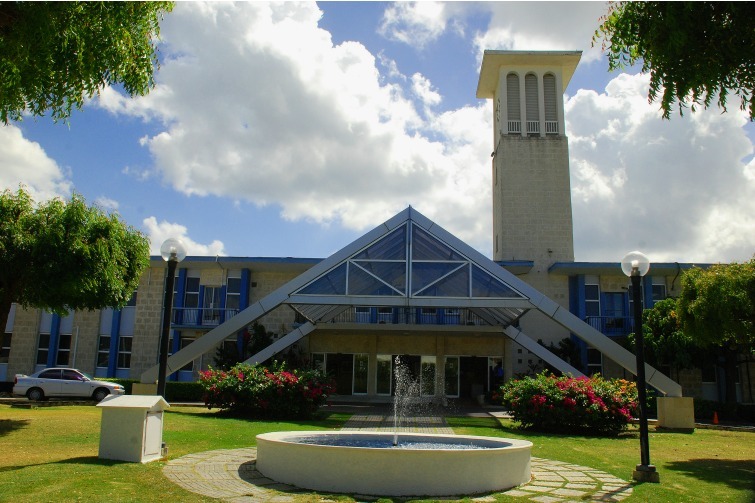 Barbados: University of the West Indies – Cave Hill. Photo: © Barbados Tourism Marketing. Barbados has a market-based (capitalist) economy with tourism, a primary driver. In fact, Barbados is a top ten tourist destination in the Caribbean with approximately 591,892 stay-over visitors during 2015. A healthy number, but the island is not overrun. The ratio of tourists to residents is low: there are 1.8 tourists per resident compared with 13 in the British Virgin Islands. Visitors arrive primarily from the United Kingdom (37%), United States (25%), other Caribbean destinations & Latin America (15.9%) and Canada (12.6%) to visit the island for a variety of activities including cultural, heritage and music festivals, sporting events, beach and water sports, weddings and honeymoons, etc. Thus, property owners who decide to rent when not on the island, are typically able to achieve high occupancy with the constant flow of visitors especially during peak season mid-December through April. 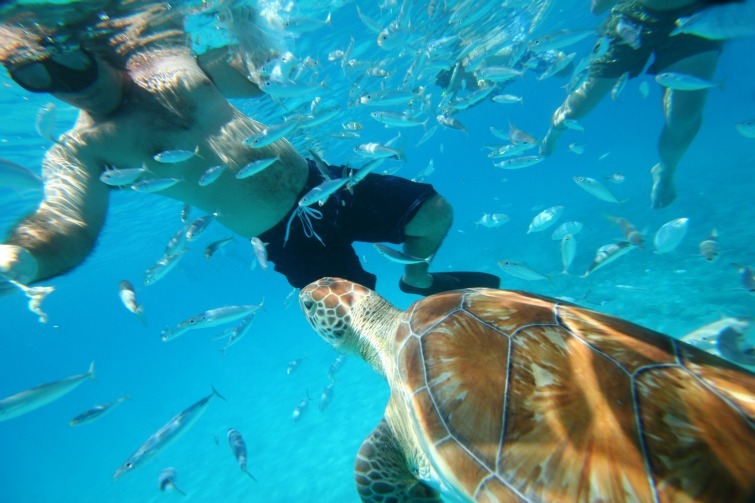 Barbados: Tourists/snorkelers swimming close to turtles. Photo: © Barbados Tourism Marketing. 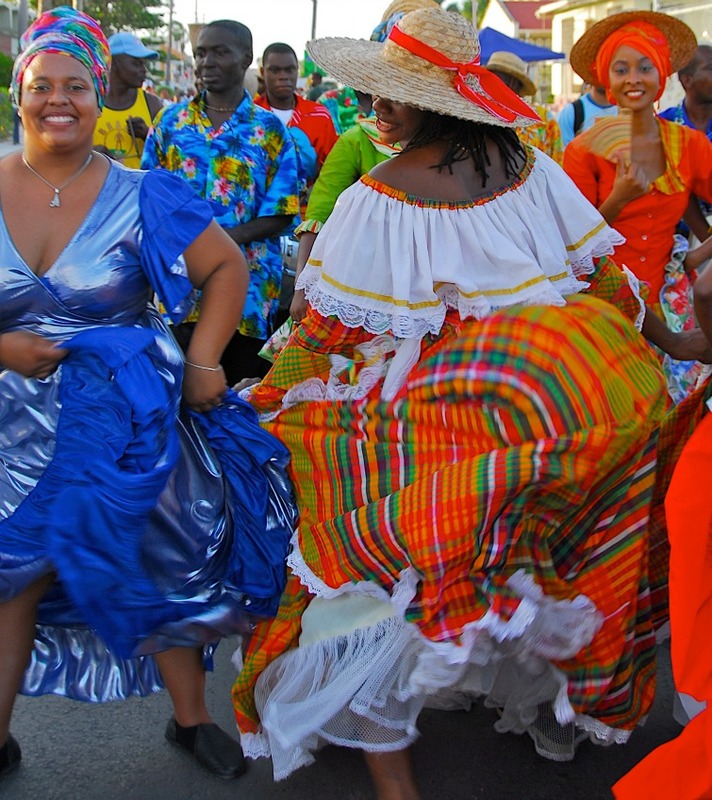 Barbados: Dancers during Crop Over Festival. Photo: © Barbados Tourism Marketing. 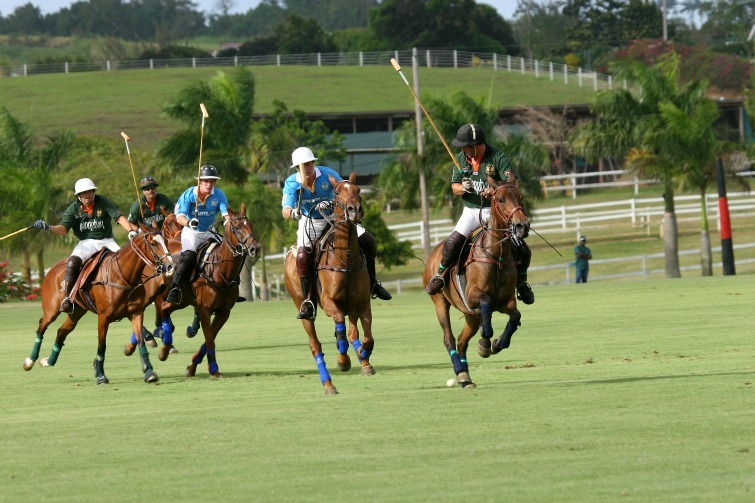 Barbados: Polo match. Photo: © Barbados Tourism Marketing. There are no restrictions on buying real estate in Barbados by those who are not citizens or permanent residents. However, non-residents do though need to have the necessary funds from external sources, and these funds have to be registered with the Central Bank of Barbados. Also, approval is required from the Exchange Control Authority for either the purchase or sale of a property by a non-resident irrespective of whether or not the non-resident is a Barbadian citizen. 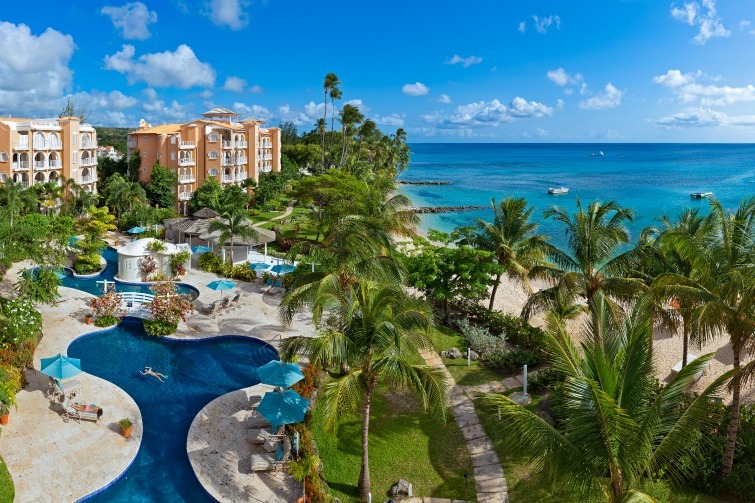 Barbados: Saint Peter’s Bay Luxury Resort & Residences. Photo: © UNNA Luxury Resorts & Residences. Non-citizens can work in Barbados provided they have a work permit that usually takes about six to eight weeks to process. Also, while Barbados is not a tax haven, the island does have Double Taxation Agreements with 34 countries including Canada, the United States, and the United Kingdom. Thus, individuals who are residents but not domiciled in Barbados are only taxed on their income derived from Barbados and on any overseas income remitted in Barbados. Non-residents are taxed only on income derived from Barbados. 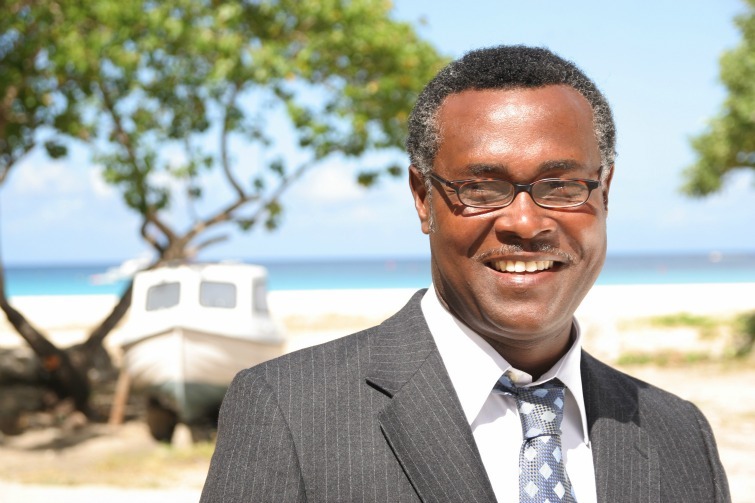 Capital gains, gift and inheritance taxes are also not material in Barbados. Barbados: Treasury Building. Photo: © Barbados Tourism Marketing. Barbados: Beach business. Photo: © Barbados Tourism Marketing. Real estate in Barbados like elsewhere in the Caribbean is not cheap, but there are options for all budgets. One bedroom apartments and condominiums in Barbados without a beach or sea view can be purchased for around US$250,000; perhaps even lower. For luxury developments like Port Ferdinand Marina and Luxury Resort, the investment required for a two bedroom sea view residence is around US$2million. At the top end is the Caribbean’s most expensive property, Palazzate – Barbados’ US$125 Million Luxury Beachfront Mansion. So it’s a matter of sorting the finances and then spending time on the beautiful and the inviting island of Barbados checking out the areas and properties with favorable pricing. There are real estate deals in Barbados to be done. Barbados: Palazzate, a 75,000 sq ft luxury beachfront mansion. Photo: ©Plazzate.